I would be a dolphin because there are so many fantastic and unique elements in a dolphins life. Their energetic, fun lifestyle suits my personality perfectly. Dolphins are extremely creative. They can transform almost any surrounding object into a vital resource. 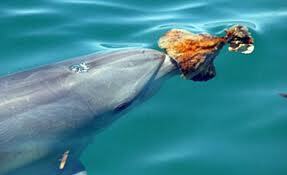 For example, dolphins use sponge coral as protection while they are collecting food to eat. They nestle their beak into the sponge coral, then forage for food along the ocean floor without having to worry about sharp objects. I think it's genius! Their intelligence astounds me. Another example of this creativity is echolocation. 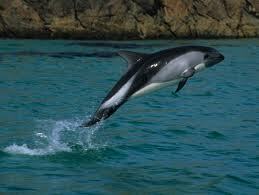 The dolphins use it to locate eachother and to shorten a food search. The dolphins make some noise, then it bounces off of their pod, and they can tell the distance and direction just by the echo bouncing off of a nearby dolphin. If a dolphin is searching for food, they make a sound and it bounces off of the fish, then they can track the fish using the same process. I would enjoy and be content with traveling along the coasts. I would be able to visit the Caribbean, Florida (where I was born), South America, California and the south pacific! It would be such an amazing experience. What animal would you be, and why? I would be a black bear because they're small, fast, and they can climb trees. Not many other species of bears can do that, so that makes the black bear unique. They're coats are really soft. At school, my friend's mom works with bears, so she brought in a female black bear skin, and it was sooo fuzzy. I think black bears are the most amazing and majestic creatures. Ever. Cheetah, because they like cheetos. I would be an Orca, because they are one my favorite animals, they can breathe water and go on land, and many other reasons. 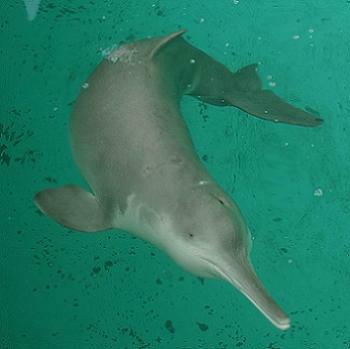 my 2nd choice would also be a Peale's dolphin because of the same reasons as you. People are animals. You guys are already animals. Hmm this is a hard one..
a dog a snake a hamster a cat a whatever reason: no idea anything that cant go on the computer is fine with me! A manatee or a seal, I think.  Some sort of easygoing aquatic mammal. That or a bird, hahah maybe a seagull or cormorant? Killer whale. They are on top of the food chain, so all they have to worry about is humans. If they live in Antartica then they probably don't have to worry about humans at all. They eat squid and seafood which is delicous (for me anyway). They hunt in groups called pods, and are even known to eat whales. They are intellegent and are often trained by aquariums. Other than that, I would be a manatee or a dog, but dog food is disgusting (compared to squid anyway) and I'm not a fan of lettuce. training orcas is a pretty god awful idea those aquariums have. They are too large and too intelligent. And they're also endangered, I think. Animals like that are just not meant to be in captivity. I would be either Cheetah,Lion or Tiger. Cheetah because they are fast which is like me. Lion for braveness which my friends always let me open the door at midnight or anything brave. I love big cats but I would rather be a giant tortiose or a killer whale. My siggy has big cats. I want to be a house cat. Cats can sleep whenever they want, be petted, and be lazy. i'd be a dog, because i wouldn't have to worry about survival as long as i had an owner that fed, took care of me and loved me. also, dogs are awesome and if you disagree you are wrong. And I do agree with Rue. Orcas + humans + humans trying to tame them = disaster and possibly death. It's also an awful lifestyle for an orca. Don't they have any sympathy for them? 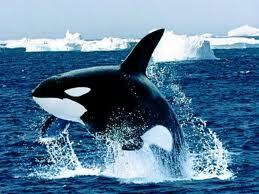 Orcas should be free, in the wild. I would also love to be an orangutan. I think Indonesia is a beautiful and fascinating country. They also eat lots of delicious tropical fruits. The rainforest is amazing and I would be swinging from tree to tree constantly. Orangutans are also very curious. They are very intelligent too. Their survival methods are astounding. Don't call them random, they aren't. They are just endangered and not very common. Wow, I was expecting a lot of people to pick the same, but that's not what happened at all! I loved how unique each choice was. I really enjoyed reading through this! Subject: Re: If you could be any animal, what would you be and why?